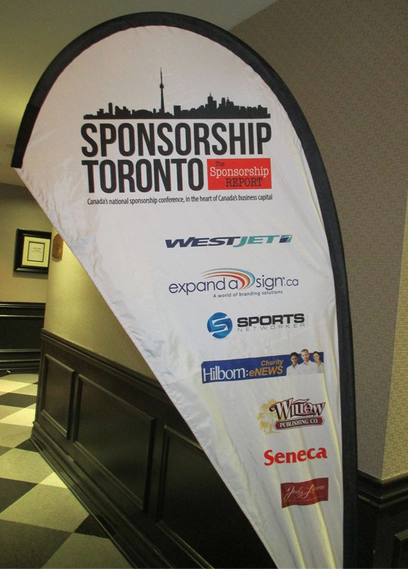 Last Tuesday and Wednesday my Event Marketing class had the chance to volunteer at the Sponsorship Toronto conference that took place at the Grand Hotel and Suites. Sponsorship Toronto is a two-day conference in which professionals from the sponsorship community come together for an exchange of ideas and knowledge on the topic of sponsorship. While this conference was relatively small compared to others I’ve volunteered at, it was a great event to be a part of. It was interesting to see how the conference was organized and executed, especially because there were multiple sessions running simultaneously. I volunteered on the Wednesday morning as a Room Manager. As Room Manager, my partner Haiming and I were in change or ensuring that the presentations ran smoothly and on schedule. We were also in charge of the lighting and sound for the room during the morning workshops. I was primarily responsible for introducing the speakers, informing the conference attendees on when lunch was, what time the next sessions were at and what the speaker’s topics were on. Haiming and I worked during the session “Harnessing the Internet: Creating Digital Value for Sponsors” with speakers Jane Hopgood and Regan Zuzarte. Jane Hopgood is the Senior Vice President of Arts & Communications and Regan Zuzarte is the President and founder of Triangles. Both Jane and Reagan were absolute pleasures to work with. They were both very relaxed and easy going, especially during times of technical difficulties with the presentations. I was expecting the presentations to run extremely smoothly, but they didn’t. The number one thing to remember when working or running an event is, something can and will go wrong. In our case, we had things happen twice during the presentation. The first blip was the fact that a video on the slideshow wouldn’t play. Eventually I was able to make the video play. The second technical difficulty was the fact that the computer decided it was going to shut down and auto update itself halfway through the presentation. Jane and Reagan were absolute pros during these difficult few moments. Instead of sitting there with nothing to say, they dived right into questions from the audience. Once the computer rebooted and we were on track again once again, the speakers switched right back into their presentation as if nothing had happened. While it was a bit stressful dealing with these issues, it was great to see how problems can be handled in a calm manner. 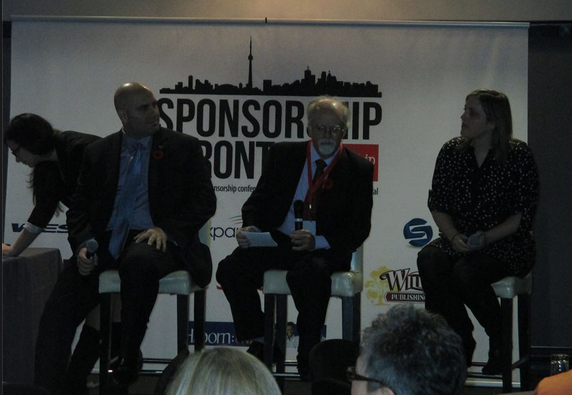 Overall the Sponsorship Toronto was a great event to be a part of. It allowed me to see how smaller-scale conferences function and how to calmly deal with issues when they arise. No event is ever perfect and this conference proved that to me.